Wandering around the Piazza della Signoria, Florence, the arches are not the star attraction. 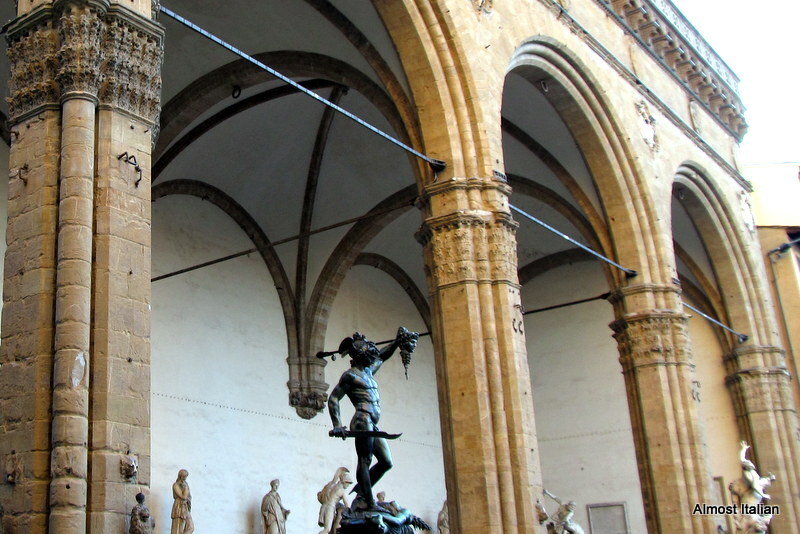 Both Davide and his dark friend Perseus look out onto the arches of this wonderful piazza or stand under them. We look at these beautiful sculptures of young men and admire their physicality, not the arches. 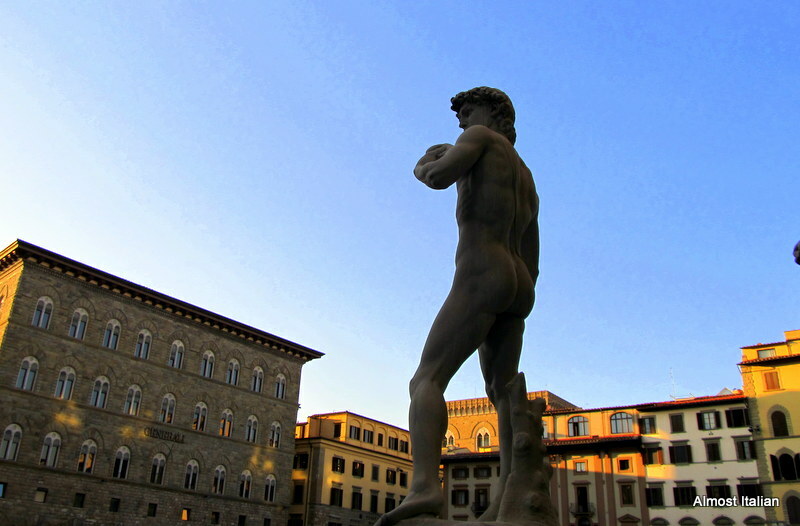 Copy of Michelangelo’s Davide, Firenze, surveys a few arches. Underneath the Arches: Perseus with the Head of Medusa, Cellini. While the lads look onto the arches and contemplate their great feats, Neptune only has eyes for Perseus- he is plainly sick of staring at arches! 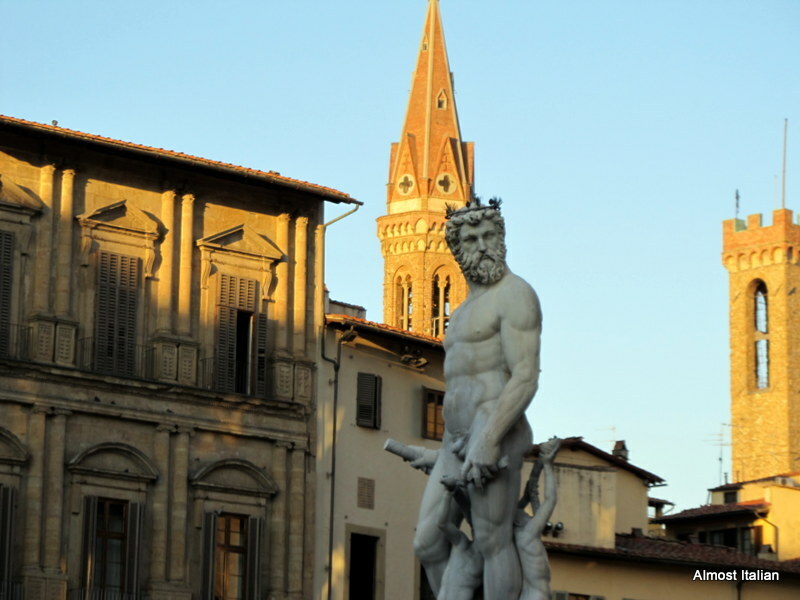 Neptune – not interested in arches! Thanks Ailsa from Where’s My Backpack, for an excuse to travel to Italy today. Neptune is trying to attract Perseus’ attention. He is humming “Underneath the Arches”. I adore Firenze! A wonderful place. Yes, a great place, even if a little too busy.